Guided tours of 6 hectares of gardens with organically grown lavenders, perfume and medicinal plants. The tourist office organises a lavender tour and balloon flights to see the lavender fields from the air. Set in a XII° century priory, the ethnological conservatory and research center offers visits around its perfumed gardens and medicinal plant gardens. There are more than 6.000 species being grown. The local growers' co-operative, sale of essential oils. Bleu d'Argens farm Medicinal and aromatic plants, (online shopping and on the farm on request) visits and working demonstrations of the farm, sensorial game and tasting on request thursday morning. The Cotta farm, visits and working demonstrations of the distillery. The tourist office organises guided tours in July and August. The Angelvin farm offers farm and distillery visits as well as videos about lavenders. Traditional tools exhibition, shop. The Cordeliers botanical garden has medicinal, aromatic, vegetable and ornamental plants all within the grounds of a former medieval convent. 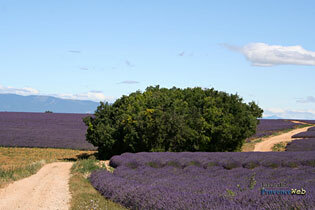 The tourist office offers visits to lavender sites in the Asse valley. The Champs de Provence Rural park has a range of examples of regional plantations as well as a distillery, a shepherds house, pigeonnier... and open air theater. 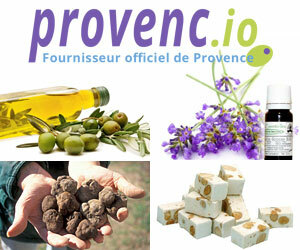 Provencal restaurant. Sault growers' coopérative. Exhibition and sales of products. Lavender garden. Guided tours of the botanical garden and green houses. Sale of plants. The tourist office organises 7 different tours on the lavender theme. Distillery and sale of products. 80 ha lavender farm and walks. Distillery. Lavender museum, still, distillation and lavender cutting displays. Shop. The aroma and perfume museum is located between Arles and Avignon in a XIX° century restored "mas". Exhibition of distillation, stills, essences and old perfume bottles.